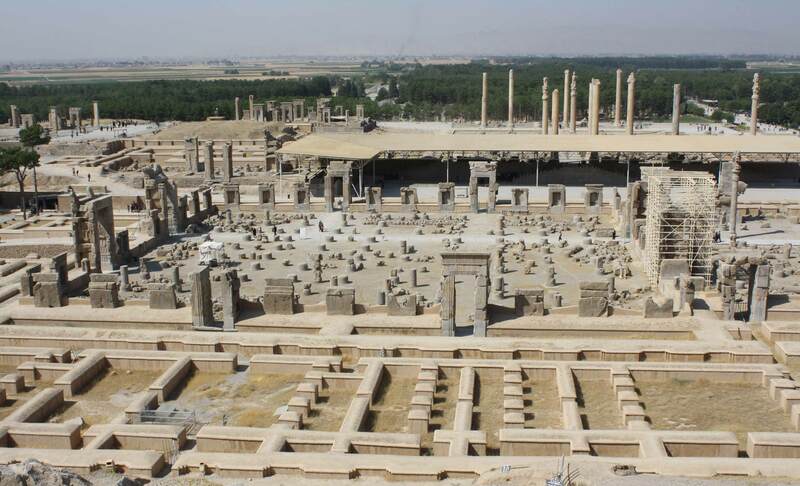 There it was, Persepolis, shining like a beacon of hope in a desert of madness. Its position on the mesa caught a halo of the setting sun in such a way as to take any onlooker’s breath away. Mr. Darius had named his ranch after the great Persian city as a statement of his power and wealth. There was not another ranch in all of Texas as vast and successful as his. Mordie dismounted and grunted on impact before he grabbed for Esther’s reins. She relinquished them into his hands without protest and sat atop her mount staring at the grand ranch house for several more seconds before jumping off her mount. She swiveled around making the layers of her skirts circle her legs then bounce back. Her hand shielded her eyes from the last of the evening sun while she glowered at the grazing cows in the distance. Esther ducked her head and didn’t say another word as she went to her saddle bags and unstrapped them. When she pulled them off the horse the weight of them tugged down on her arms, and she almost dropped the bags in the dust. Meanwhile her uncle set to work unloading her things from the one of the mules carrying two small trunks. Mordie lugged them one by one up on to the porch, and Esther watched with a despondent frown etched in place. She absently rubbed under the halter of her horse with her free hand but didn’t lift a finger to help him. “Thank you,” she said, and a genuine, albeit miniscule, smile trespassed across her face. When the door closed behind him and she was alone the first thing she did was check her trunks. She unlatched each and threw the lids back. After chucking out all the clothes she kneeled and caressed the hard covers of her books and cried. Her uncle had made up his mind, sure this was for the best. Her parents were dead, never to return again. Life in the West was harsh, and it had left poor Esther all alone when her family was killed by Comanche raiders. She wiped the tears from her eyes and took a quick bath since the water had already cooled to a tepid, unwelcoming temperature. After she was dressed and her hair plated in a wet braid it was time to go meet her husband-to-be, Shay Darius. She tiptoed down the hall and listened to the sound of conversation. The rumble of her uncle’s voice and another man’s softer one wafted toward her, and she faltered in indecision. She jumped, threw herself back against the wall, and grabbed her collar as all the air was expelled from her lungs. Esther glared at the grinning fool before dislodging herself from the wall. She gave him her most stern look, one she’d learned from her mama, and vigorously wiped her hands on her skirts several times, then turned her back on him and marched down the hall. Her eyebrows arched when she realized he was gesturing to the man standing just behind. Esther’s cheeks glowed red as she turned to face him. “Welcome to Persepolis West, Miss Esther.” Shay’s cocky smile seemed to stretch from one end of Texas to the other, and Esther looked ready to smack the handsome clean off his face.